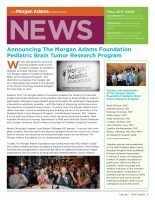 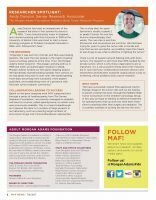 The November 2018 edition of The Morgan Adams Foundation Newsletter is available by clicking here. 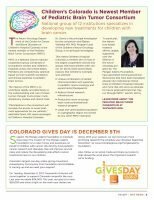 This issue talks about exciting advancements in screening FDA-approved drugs for immediate use in patient treatment, an update on the Childhood Cancer License Plate, information about upcoming events and fundraisers to support kids’ cancer research, and more! 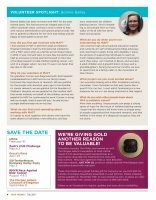 Read our March 2018 Newsletter HERE.